Jordan Brand is already gearing up for the winter and they have already given us sneak peak of their Jordan Winterized Collection that will be feature a wide number of models that includes the Jordan Winterized 6 Rings. The Jordan Winterized 6 Rings, which was said to be inspired by the cold climate in Chicago where Michael Jordan spent almost his entire career, is now available in the market in Khaki/Imperial Blue – Olive Khaki – Marakesh colourway. 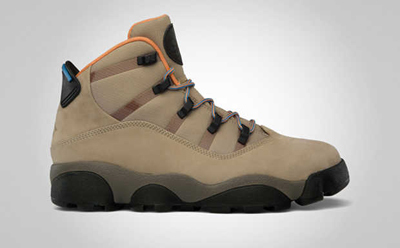 These new edition of the Jordan Winterized 6 Rings features a Khaki-dominant upper part with Imperial Blue, Olive Khaki, and Marakesh accents that makes it more vibrant. If you are already preparing for a tough winter ride, consider buying this new Jordan 6 Rings and you will definitely get your money’s worth. “All Black” Jordan 6 Rings Available This Weekend!